This summer, as part of its goal of developing a network of partnerships and collaborations with major international theatres, the Greek National Theatre is presenting a new co-production with the State Theatre of Serbia,AristophanesΆ Plutus, directed by Nikita Milivojevic. 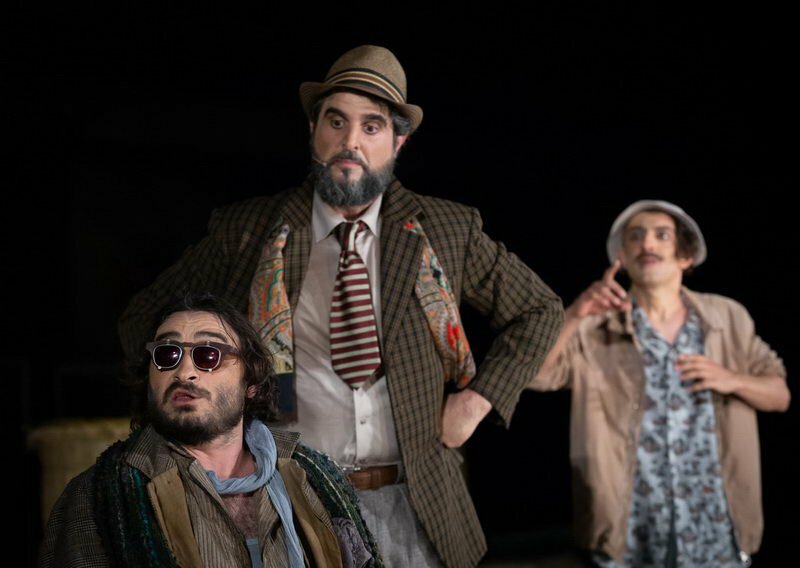 Milivojevic’s production, with a mixed cast of Greek and Serbian actors, focuses on AristophanesΆ central question of how wealth is distributed, examining its relevance to today. After visiting the Oracle of Delphi, Chremylus returns home with a blind old man forced on him by Apollo. With the help of his slave, Carion, he discovers that the man is none other than Plutus, the god of wealth. Chremylus and all honest citizens will prosper if Plutus regains his sight. Sure enough, Asclepius cures him, and justice is restored. In response, Penia, the goddess of poverty, who has for so long run the city, now tries to defend the virtues of a life that is poor but honest. However, the Athenians are unconvinced and plan to restore Plutus to his old position at the back of the Temple of Athena, where the public treasury is located. For many years, I have wondered at the existence of various lists of wealth distribution around the world. How is it possible for a hundred people to be richer than half the human race? What kind of world is this? Whether Plutus is blind or sees perfectly well what he is doing seems completely irrelevant. Things donΆt seem to have changed at all since AristophanesΆ time. Plutus is obviously the most powerful god on Earth, the driving force of the world, while various economic interests determine everything. Greece and Serbia (and the entire Balkans in a broader sense), are two sides of the same coin in PlutusΆs small change. Our role in this endlessly topical global comedy is always the same: for us, there is no difference between heads or tails.